Capt. 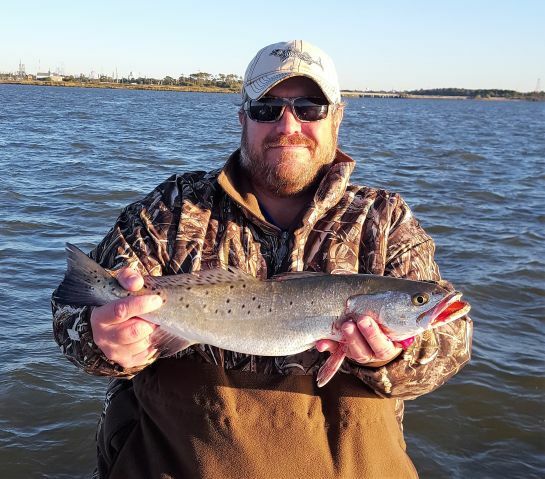 Craig runs Galvestoninshore fishing Guide Service. 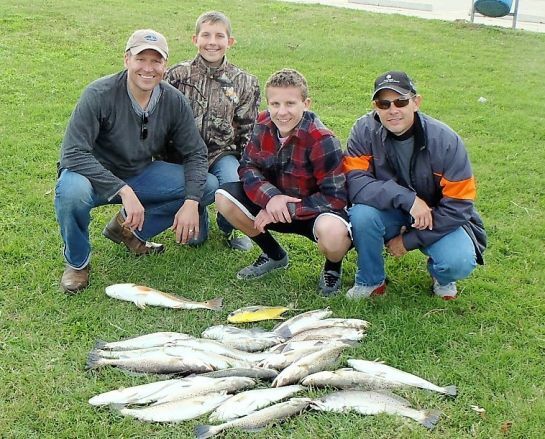 He has been fishing Galveston Bay complex for 19 years. 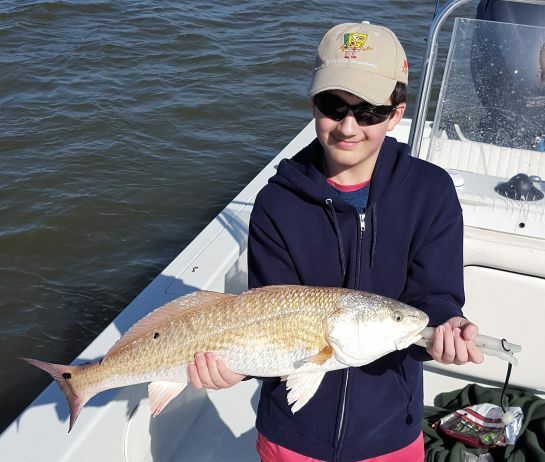 Out of his 24ft Lake and Bay boat, Capt. Craig caters to all levels of experience to make sure the best time is had by all. I dont know if it just me but this weather and these fishing conditions right now have me all fired up. I say "bring on the fronts" because every time it blows the fish just get hungrier. Look for birds in several areas of the bay system right now typically with decent fish underneath them. Days after and during strong fronts are best and have been producing some fantastic bird action with the emptying of the marshes. Winter is kicking in finally so you need to adjust as an angler to the changing conditions. That warm weather kept the morning bite going for a long time but you can bet that the afternoon bite is going to be happening now. Look for the next few weeks to produce some very good late day fishing. As it gets colder look for gamefish to move up in to canals in all of the bays. Shallow flats with mud and shell are producing best and the fish are still on the move from day to day. So don't be afraid to move around a little and try new spots. That is one huge benefit to a windy day. You can cover a lot of fishing area and find out where they are holding. GREAT FAMILY DAY ON THE WATER! Look for everything to be a few weeks behind right now including the flounder. In years past the run would be basically over by now but they are definitely still here just because of the late start to winter. Try to target the deeper areas from 7 to 20 ft and keep that bait moving. 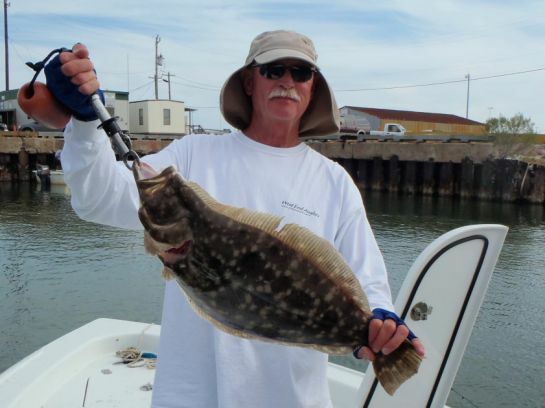 Flounder are extremely aggressive so almost anything you pull in front of a flatty will be attacked or "thumped." Flounder is hands down my favorite fish of the Big 3 to catch! Getting "thumped" by an 8 lb flounder is a feeling you will never forget. You can almost feel the power of the fish when a true trophy first grabs your bait. I can remember several trophy flounder producing this same feeling and the overwhelming rush of adrenaline knowing what I had on the other end of my line. I absolutely love catching Flounder!! We are definitely in the beginning of our wintertime pattern where windy, cloudy, dreary days are going to be best. I call it "fishing weather." Bright bluebird sunny days with no wind are not my favorite conditions and although it may be a "nice day" you may struggle with catching fish. The fish are responding well to artificial lures as well as live bait. Keep your bait lower in the water column whether you are chunking hardware or live bait. I see nothing but good fishing for the next few weeks. IS THAT "JOHN GRISHAM" HOLDING THAT SPECK? Be safe and as always take a kid fishing!